Farmington, Utah — A school district in Utah has agreed to settle with the American Civil Liberties Union and place a book promoting homosexuality back on the shelves of its elementary schools. The Davis School District was sued last year by the ACLU after a parent complained that the book In Our Mothers’ House had been removed from borrowing. It was initially taken off the shelves after a group of other parents submitted a petition to the district expressing their disgust at its content. The four elementary schools that carried the book, however, placed the book behind the counter, so it could still be borrowed if requested and with parental consent. Throughout the lawsuit, attorneys for the Davis School District argued that the book violated the state’s sexual education law, which prohibits any “advocacy of homosexuality.” The ACLU and various homosexual groups continued to put pressure on the schools to replace the book anyway. In Our Mother’s House is a book about two lesbians that adopt children. Its pages praise homosexuality as being a wonderful and natural relationship. 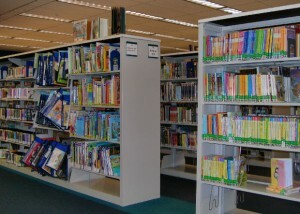 Following the recent settlement, Assistant Superintendent Pamela Park sent out an order requesting that elementary school librarians place the book back on the shelf. While some have expressed disappointment over the move, the school district asserts that the decision wasn’t a total loss because parents can still block their children from checking out certain books at the library. The district utilizes an online system where parents can control what books their children can and cannot read.